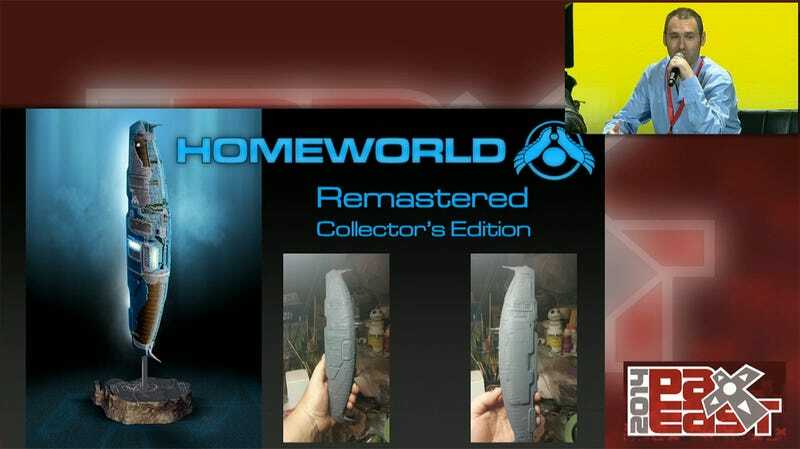 During Gearbox Software's PAX East 2014 panel this morning, fans got a quick peek at the incredibly limited starship that's coming in the equally limited collector's edition of the Homeworld Remastered. So pretty. Apparently this USB-powered statue is filled with so many bells and whistles the production process involves hundreds of hands, hopefully attached to people. The collector's edition will only number in the thousands, so fans are urged to hop on preorders as soon as they open up. Along with the shot of the ship, Gearbox also revealed that the remastered version of the games will support up to 4K resolution.